EVEN after 57 years of Independence, agriculture has not received the attention it deserved. The onus is certainly on successive governments which wake up only when monsoons fail. There have been crop failures, farmers’ distress and starvation deaths too. But no concrete steps have been taken to tackle the problem. There is probably no instance in the Bhartiya Janata Party of an MLA becoming Chief Minister within four years of his joining the party. Arjun Munda, 38, became the Chief Minister of Jharkhand in March 2003 after clashing ambitions of NDA’s coalition partners forced the ouster of Mr Babulal Marandi. 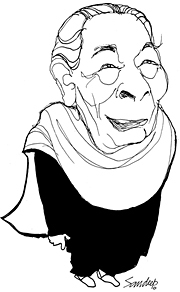 Zohra Sehgal is truly “Anmol Ratna” of the Indian screen and stage. She was, therefore, aptly decorated with Sangeet Natak Akademy’s “Ratna” award. But the Akademy discovered this gem a bit too late. Though she is 93, amazingly, age does not deter her from featuring in films and throwing her graceful charm. She was last seen in films like “Saaya” and “ Kal Ho Naa Ho”. She has also featured in a string of Hollywood films including “Bend it like Beckham”. You be the sky...but how? We had a documentary screening at the United Nations’ of ‘You Be the Sky’... It was watched by a mixed audience typical of the United Nations. The documentary produced by India Vision Foundation and Directed by Dr Lavlin Thadani, is about how the introduction of humane and sensitive management alters, drastically and substantially, sad and depressed institutions. And gradually, but surely, revives and springs to life and hope. And how the same negative mindsets become creative and willing. The shoot out incident that injured S.A.R. Geelani, acquitted in the Parliament House attack case, has shocked Delhi-ites. Geelani, who teaches Arabic in a well-known college here, was shot at and wounded whilst he was on his way to meet his lawyer Nandita Haksar at her Vasant Enclave residence on Tuesday night. The Jawahar Tunnel near the village of Banihal is Kashmir’s gateway to India but it leads to a tedious and often treacherous road for several hours of the stretch beyond. Heavy snowfall has blocked that road for much of the past week. The worst part was that a bus met with a terrible accident on one of the road’s more dangerous bits, resulting in the deaths of at least seven persons. So difficult is access to the road, for the mountain stretches steeply both above and below for much of the way, that even rescue is often a Herculean task. EVEN after 57 years of Independence, agriculture has not received the attention it deserved. The onus is certainly on successive governments which wake up only when monsoons fail. There have been crop failures, farmers’ distress and starvation deaths too. But no concrete steps have been taken to tackle the problem. Gandhiji’s vision of a sound economy can be achieved only if agriculture is given its due by the powers that be. Given the political will and administrative support, it can be given top priority in the scheme of things. Any strategy for comprehensive development of agriculture needs innovative rethinking. The task cannot be left to the whims and fancies of the state governments. The Union Government will have to shoulder the responsibility, supported by all the state governments. All Chief Ministers must hold the agriculture portfolio and be made accountable for the implementation of the national policies, strategies and methodology. The Union Agriculture Minister should be assisted by a body called the National Agriculture Board (NAB) comprising professionals and experts, and not bureaucrats. In the states, State Agricultural Boards should report to both the Chief Minister and the NAB Chairman. These boards should oversee agricultural development and ensure good returns. We should set up private enterprise communes on the lines of the Israeli Kibbutz system. Communes comprise cluster of villages having access to urban/ mandi locations in the South, East, West, and Central India, which suffer most from the Warren Hastings’ settlement system. The concept of free enterprise commune can also be emulated. Investments in capital and revenue expenditure can be augmented by savings by doing away with the Food Corporation of India, rationing, maintaining food reserves, providing free electricity and water, writing off loans and reducing the ministries at the Centre and in the states. The farmers’ income can be enhanced by maximising the produce and checking waste. Every piece of land must produce a return. In tune with the principle “All for one and one for all”, the prosperity of the commune can be ensured by inculcating the following: standardisation, support without charity, sharing and communicating, self-regulation, spirit of collective enterprise and self-esteem. The commune has to pay for civic amenities. In the standardised free enterprise commune, agro depot, with agronomic R&D units, will be the hub of activity. It will provide support for operation, maintenance and development of the commune to become self-sufficient within a timeframe. A qualified and experienced manager will head the depot, aided by a marketing assistant for selling the produce and running a cooperative mini supermarket. There is need for a computer savvy accounting assistant. Trained field staff from within the commune will look after the experimental fields, seed cultivation and help farmers adopt modern agricultural practices. The agro depot will have, in addition to the office space, stores for housing the produce fertiliser, pesticides, seeds and equipment. Communes will also have a health (medicare, immunisation and maternity) clinic, vocational training centre, secondary school providing free compulsory education for all the students, primary schools with compulsory attendance together with crèches, playgrounds, gymnasium and handicraft production centres. To help farmers, communes will organise programmes regularly on underground water survey, minor irrigation works such as mini dams, run water channels for the fields manually through self-help by the residents, a planned system for water harvesting to conserve water and for purposes of irrigation, survey and identification of land not under cultivation and making proper use of it by growing pulses, olives and fruits, a thrift campaign and a welfare fund. Investment on standardised villages will improve the quality of life of the villagers. Each standardised village will have two rows of low cost and semi-detached pucca brick houses with civic amenities and floors with a main road between the two. Each house will be in a small plot with a mini garden in the front and a vegetable patch at the back, a small frontal verandah leading into a main room, two small bedrooms, kitchen and toilets. These villages are to be rebuilt with voluntary labour provided by the inhabitants with necessary capital expenditure by the Centre and the states. In addition, the standardised village will have a site for agricultural demonstration and experimentation, field for seed cultivation, concrete pond a la Bengal for fish cultivation and covered cattle shed. Villagers can keep their cattle, milk them and use the cow dung as fuel. Kilns will also be there to provide bricks for building and repairing of the houses. Compost heaps will provide natural fertiliser. The people of the commune will look after the operation, maintenance, development and cultivation in the private enterprise commune villages. They will get support free of cost from the agro depot services, equipment and facilities for field preparation, sowing, reaping the harvest, and storing the produce. Of course, they can make a bulk purchase of the fertiliser for a period of 5-10 years and then pay the cost from the income of the commune. The agro depot manager will be the friend philosopher and guide of the commune. The commune will aim at raising the financial status of each family. The State Agriculture Board will aim at this by developing tailor-made plans for each commune. The depot manager will execute, through the commune members, agricultural, vegetable and timber production. Every bit of land in the commune will be put to maximum use. Cloned eucalyptus trees can be grown on both sides of the road, residential plots and spare land available for marketing. The goal will be to increase the crop yields with agronomic support and better farm practices, maximise crop rotation, regeneration of the land fertility, crop insurance and check wastage. Secondly, the farmers’ wives will be involved in making bricks in brick kilns, marketing the surplus milk a la Amul, production of papads a la Lijjat, production of pickles a la Mother’s Pride, handicrafts etc as may be appropriate to the location of each commune. Thirdly, the focus will be on direct marketing of the products with no middle men and ensuring a larger income for the commune as a whole. There will be a super cooperative for marketing of agricultural produce and cooperatives for all other items. These cooperatives must be protected from any interference, political or otherwise. The commune will help provide gainful employment for the farmers’ children. The State Agricultural Boards will consider ways and means of providing employment through training. The task forces in cultivation, R&D, seed cultivation and sanitation will also provide jobs. Through gainful employment, farmers’ wives will be paid daily wages every month, subject to their attendance, out of the overall income of the super cooperative. For all other cooperatives, the farmer’s wives could become members and help produce papads, pickles, handicrafts, durries, knitwear, bricks etc. They will be paid wages each month from the gross income of each of these cooperatives with the annual surplus shared equally among the members. The total gross income of the free enterprise commune should be seen as the total sales of the super cooperative responsible for the marketing of cultivated crops. Payments towards the costs of civic amenities and daily wages for the task forces will be made out of this income. The net income arrived at will be divided among the families on a pro rata basis, the acreage held or the produce contributed for marketing by each family. It will be credited to the savings accounts of each family. The funds required for implementing the proposal for private enterprise commune covering capital and revenue expenditure, the latter on a recurring basis, can be readily harnessed. The savings will cover the revenue expenditure. For both capital and revenue expenditure, the resources can be harnessed from the Centre and the states, international aid agencies, charitable trusts, and industry and commerce by adopting a commune. As regards the implementation of private enterprise commune, the NAB/SABs will prepare a common standardised action plan for approval by the government. This plan needs to cover the key result areas, sub-key result areas, objectives, action to be taken and the timeframe. These plans will be promptly implemented and reviewed every month. If implemented, this plan could bring about the much-needed socio-economic transformation initiated by Mahatma Gandhi. If China could achieve a 20-fold increase in its agricultural output in the past two decades, why should India lag behind? There is probably no instance in the Bhartiya Janata Party of an MLA becoming Chief Minister within four years of his joining the party. Arjun Munda, 38, became the Chief Minister of Jharkhand in March 2003 after clashing ambitions of NDA’s coalition partners forced the ouster of Mr Babulal Marandi. Having participated in the "movement" for the creation of Jharkhand state, Mr Munda entered the State Assembly as MLA of Jharkhand Mukti Morcha in 1995. He joined the BJP in 1999 and has emerged as one of the party’s prominent tribal leaders. Confident of NDA’s victory in the ongoing Assembly elections, he told The Sunday Tribune that the new government will accelerate the pace of development. Q: How do you assess the BJP’s chances? A: We are fighting the elections from a position of strength. We have tried to remove shortcomings in our preparations for the last Lok Sabha polls when we could not mobilise the workers properly. Q: What are the campaign issues? A: We fulfilled our commitment to make Jharkhand a state. We have done a lot for the state’s development. The UPA government has hardly done anything except increasing prices. It has done little for Jharkhand. We did not get funds for tackling drought. The UPA government has been partisan. We had sought Rs 350 crore to build one lakh small reservoirs in the state but money was not given. When the Centre can give a special package to Bihar, why not Jharkahnd? The ministers in the UPA government from Jharkhand have not been given portfolios that can make a difference to the lives of the people in the state. Mr Shibu Soren has been given a portfolio where he can only sell coal. The BJP government is creating a network of roads in the state. It has already constructed 6,000 km rural roads. Nearly 3,600 km roads have been metalled. The government has made 30,000 regular appointments, mostly teachers. Nearly 35,000 teachers have been taken on contract for the Sarv Shiksha Abhiyan. Recruitments have been done in the police. The state government has signed MoUs for Rs 52,000 crore for expansion of existing steel projects and new industries. The process of land acquisition has begun for setting up new industries. Q: Will you be the Chief Minister if the NDA gets a majority? A: The Chief Minister will be from the BJP. Q: Is the election being fought under your leadership? A: The party is fighting the election. Q: Are you a candidate for the post of Chief Minister? A: I am doing my job as a party worker. In a family, one does not stake claims but fulfills one’s responsibility. I will accept whatever task is given to me after the elections. Q: What role do you see for senior leaders like Babulal Marandi after the polls? A: Mr Marandi is a senior leader. There are issues which are decided within the party forum. At times, it is reported that we are in competition. There is no competition between us. Q: Why did the BJP fare poorly in Jharkhand in the last Lok Sabha elections? A: Overconfidence affected our performance. Apparently, many candidates were fighting anti-incumbency. Q: What were the reasons for your leaving the Jharkhand Mukti Morcha? A: I left the JMM because the movement for the creation of Jharkhand kept going out of track. I joined the BJP because it was the only national party that was committed to the creation of Jharkhand state. I am happy that many other leaders from the movement are now in the BJP. Q: How do you view JMM chief Shibu Soren’s claim that Jharkahnd state was created because of his 40-year-old struggle? A: Did he struggle alone? He did deals during the course of the struggle. The movement kept deviating from its path. 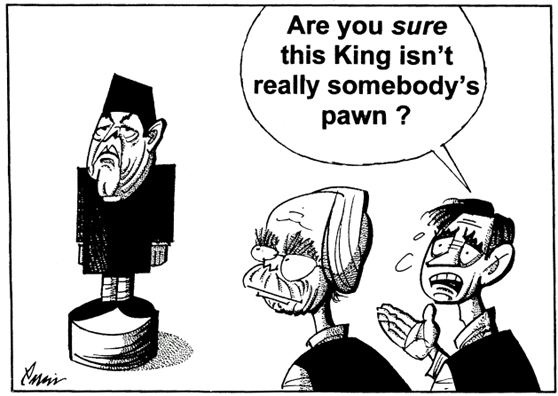 Q: Will you take help from the JMM if the NDA fails to get majority on its own? A: It is hypothetical. We will get full majority. Q: What if you don’t get a majority? A: Many things happen in politics. Q: How do you react to the charge about increase in Naxalite violence in the state in the last four years? A: If you compare with Bihar, Jharkhand is in a far better position. The Naxalites react to strong steps taken by the state government. What has come out of Andhra Pradesh government’s talks with Naxalite groups? These groups thrive unless concerted efforts are made for the removal of underlying causes. Q: Why were panchayat polls not held in the state? A: The opposition in the state is double-faced. The Congress says different things in Delhi and in Ranchi. We felt that holding panchayat polls at this juncture could have led to bitterness. We will hold them after a new government is formed. Q: Why have various departments not been able to make full use of the funds allocated? A: The actual expenses sometimes do not meet the plan figures. In some cases, Central grants were not allotted in time by the UPA government. The state faced two elections in the last one year. With the model code coming into force, the funds could not be spent as per original plans. Our record is far better than Bihar. Born in 1912 at Saharanpur in Uttar Pradesh, Zohra lived almost an entire century on stage and screen. Much before Independence, she was an actress and dancer before she began her long association with the Uday Shankar Ballet company, Prithvi Theatre and the Indian People’s Theatre Association, touring numerous countries to give performance. After spending several years in London, she returned to India and settled down in Delhi. Zohra has an equally talented sister, Uzra Bhatt, five years younger to her. Partition separated them; Uzra migrated to Pakistan while Zohra choose to remain in India. It was after a gap of 40 years in 1993 that the two sisters got a chance to work together on stage in the play “Ek Thi Nani” (once there was a grand mother). The play brought together, besides Zohra and Uzra, their grand niece, Samiya and niece, Salima Raza, representing three generations of women of the two countries. The story of the lives of the two extraordinarily talented sisters is truly reflected in the play which turned out to be first Indo-Pak collaboration to have crossed the troubled borders after the Kargil conflict. It was first staged in Lahore and, later, in Delhi. The play is a semi-biographical work and at the centerstage is the desire of two young girls to make theatre as their career, marked by struggle, trials and tribulations and, later, the trauma of Partition. “Ek Thi Nani” was, incidentally, written by India-born Shahid Nadeem who too had migrated to Pakistan when he was very young and, in due course, became a playwright and social activist. He founded the famed theatre group “ Ajoka”. Nadeem was, apparently, inspired by life and time of two sisters who have come to be recognised as a bond across the great divide. Uzra was quoted as saying “the play is very close to our hearts. It is our history”. Zohra’s performance at Prithvi Theatre last year, to mark the birthday of legendary Prithiviraj Kapoor, was a special occasion. She was not tired as a member of the audience made a request: “Apa, Abhi to Main Jawaan Hoon”. She promptly responded and enthralled the distinguished gathering by reciting, entirely from memory, Hafeez Jalandhari’s verse that became synonymous with the noted singer Malka Pukhraj: “Hawaa bhi khushgawaar hai / gulon pe bhi nikhaar hai / tarannumein hazaar hai \ bahaar purbahaar hai….”. And, as the verse ended on the note: “Abhi to main jawaan hoon”, Zohra hid her face behind her sister. Last year Zohra was at Delhi’s India International Centre. The main auditorium was full and dozens of men and women squatted on the floor. She has, at this age, a memory few can equal. She can recite Urdu poems one after another from her memory. This was what the noted writer Khushwant Singh, who was present among the audience, had to say: “Zohra has a truly computerised memory and a vast range of poets whose works she knows by heart. She is also a great actress. Her voice rises and falls with the credence of words from a barely audible whisper to a loud, triumphant roar of victor; tears flow when words are full of sorrow; crackling laughter when words are charged with sarcasm, wit or humour. Hearing Zohra is an experience of a life-time”. Zohra was quoted in an interview as saying: “ You are seeing me now when I’m old and ugly; you should have seen me then, when I was young and ugly”. What are the secrets of her physical fitness and mental alertness? She eats very little and lives largely on soups and broths and spends an hour every morning walking. She has also now reduced her social engagements. But the key is getting started! Who begins and initiates? And how? With what? These are some of the vital questions which were posed to the eminent panelists comprising experts and practitioners at the documentary screening. The people at the top? Or people at the bottom? The politicians or the administrators? Who takes the lead? And why? For we are talking of substantial change in the mindsets of entrenched institutions which will involve policy makers, practitioners, set laws, procedures and even budgets to begin with. Before I share here the Q&A as they were, let me share with you what the documentary was about to place matters in context. The documentary is about the concept of self-policing. Be it the law enforcers or the law breakers. It is based on the documentation as it was seen and as it occurred in Delhi. It would not be an exaggeration to say both institutions for their own reasons were unhappy places. The police training institution was highly stressed for inadequate and unsatisfactory facilities, in living, training, personnel and management issues. Unhappy police officers do not necessarily strengthen security. As regards the prison, prisoners not being depressed would be a surprise. But this being not an issue, too is of serious concern. For it has its own consequences. And this is where the problem comes from. For it should be a worry. For the depressed when leave the prison walls may/do look for their next victims, beginning with domestic agony or soft targets. The documentary showed how contemplative practices preceded by attitudinal changes can bring about dramatic changes in the quality of life in both the institutions. What came alive was how the law enforcers grew in sensitivity and the law breakers in humanity. The Q&A asked some very pertinent questions? Q 1: Who initiates the change? A: For institutional change to be swifter and stronger it will need to begin from the top. It could as well be political or administrative. Both could initiate. The usual practice is for the latter to wait for the former. And the former weighs the vote banks. While the truth is, the administrators can bring about the change, if they want to! Or told to! The most recent news of the California Governor inviting NGOs to visit the prisons to serve is a case in point. Here administration is being told! Or suggested? Q 2? And how do they begin the systemic change? A: By first being convinced they need to change. Or that there is a need for change. Recognising they have a situation which is not delivering and willing to seek assistance. For this they offer to experience first with themselves to see how the processes work and that the solutions being offered are impacting. It need not be another set of orders but an enabling environment which naturally brings in people now keen to know and willing to experience, seeing the leadership change. Q 3? When is it the right time to introduce contemplative practices? A: It’s never late or early. Do so at any time, for it immediately improves matters. It may be a small beginning...remain patient ...and stay on course. Remain a role model yourself? That is what leadership is all about? Q 4: How will it work in the West? Is this not a cultural issue? A: It depends what you want to focus on. The differences or the similarities. The differences are many...The colour of the skin? The language we speak? The weather is cold? The GDP is higher? And the similarity is the human mind which is internally the same...which breeds hatred, commits violence, wells up revenge. And also loves, cares, serves, sacrifices, and forgives...it is the same under any colour of the skin. Hence it is the focus.. The key panelists were: Pandit Rajmani Tigunait, Bruce Stewart, Jean Selmo and myself. The incident has raised many a controversy with Haksar, human rights activists, Geelani’s colleagues and students maintaining that ever since he was proved innocent in the Parliament attack case, he has been harassed and put under surveillance by the Delhi Police and intelligence agencies. There is demand for a CBI probe into the shoot out incident. Nandita has always been saying that Geelani’s life was under threat. She was very vociferous in her stand in a panel discussion at the India International Centre here recently. The theme of the discussion was reporting from a conflict area like the Kashmir Valley. When the discussion was thrown open to the audience, Nandita raised some pertinent points. She said that she and her client, Geelani (who was also present in the discussion), were under constant surveillance by the Delhi Police because she has taken up Geelani’s case and defended him. She said: “Right now, in this meet, intelligence agencies are taking down notes. My house is under watch. And my client has been followed. So where is the freedom that we are talking about?” I recall that she was extremely vocal, forthright and did not mince words. Later, several members from the audience commented on her complaint and voiced anxiety. Last week the well-known human rights activist Balraj Puri was here. Whilst we met at a tea lounge, he was being congratulated for being conferred the Padma Bhushan by the President of India. I wonder why we take a long time to honour a responsible citizen who stakes his life and more to fight for the rights of his fellow citizens. Jammu-based Balraj Puri could be termed as the oldest and fittest human rights crusader in the country. He took the plunge whilst he was barely 14 years old. Today when he is in his late 70s, he has remained undeterred. His views on the human rights violations in his home state, Jammu and Kashmir, have been stark. President A.P.J. Abdul Kalam and well known Jain monk Acharya Mahapragya are in the process of writing a book, according to informed sources in the Jain Vishwabharthi Institute (Deemed University) in Rajasthan. The news of the President’s shoulder fracture did seem to come in the way. The President is fast recovering, but his travel plan for the university’s convocation due this month has reportedly been postponed. The original date — February 18 — was of significance because it coincided with the Mahapragya’s 85th birthday. It also marks 75 years of his monk-hood. February 14 is Valentine’s Day. There doesn’t seem to be happening much. The Valentine’s day fever is yet to rise. I have just received one invite for a party scheduled for Feb 14 night. Will keep you abreast of the developments on this front. The Jawahar Tunnel near the village of Banihal is Kashmir’s gateway to India but it leads to a tedious and often treacherous road for several hours of the stretch beyond. Heavy snowfall has blocked that road for much of the past week. The worst part was that a bus met with a terrible accident on one of the road’s more dangerous bits, resulting in the deaths of at least seven persons. So difficult is access to the road, for the mountain stretches steeply both above and below for much of the way, that even rescue is often a Herculean task. Two persons were dug out of the snow, miraculously alive, a few days after the accident last week. This sort of accident is unfortunately not uncommon. Indeed, it happens almost every year in February and March. And yet, those Kashmiris who cannot afford the airfare and yet have to travel must undertake the risks. The experience can be numbing in more ways than one. For example, while we were chatting about the blocked road last week, a Kashmiri friend told me of a journey back from Jammu a few years ago when the bus he was on got stuck near what is appropriately known as khooni nalla (bloody ravine). A landslide had blocked the road. Passengers had to push the bus a little way so that it was not in the way of more boulders, but they were forced to spend the night on the freezing road. During that night, a baby died in its mother’s arms. Most of us never stop to think that this route from Kashmir is not an easy one, nor indeed the natural one. It used to be sealed by winter every year until the 1950s, when the tunnel — which is almost 3 km long — was built. Even when the road is open during these winter months, however, it takes a severe toll on travelers, not only in terms of time consumed but also in nerves and exhaustion. As for goods, Kashmiri fruit merchants are full of complaints about how much they lose owing to the long hours their merchandise must be hauled along the road. Many orange traders have indeed taken to offering their truck drivers a substantial bonus for getting the fruit to Jammu within a certain number of hours. That, of course, means that the drivers must drive at breakneck speed — literally at times. So, even when the road is open both ways in summer, it is rarely that one does not see the wreckage of a vehicle or two along the way. No wonder, the Muzzafarabad road has so often and so easily become a potent political issue in the valley. That route, along the gorge through which the Jhelum leaves the valley, has since time immemorial been to the Kashmiri the natural road to and from the outside world. It only took a few hours down an easy road to Rawalpindi and thence down the Grand Trunk Road to Delhi. During the Lok Sabha elections last year, even Chief Minister Mufti Mohammed Sayeed’s People’s Democratic Party had played up the promise of the opening of that route. That, remember, was the time when the Vajpayee government had, in the talks that had been initiated with Pakistan since the SAARC summit at the beginning of 2004, given high priority to reopening the road. Of course, Mr Vajpayee had a grand vision of “open borders and a single currency” that would link the markets and populations of the entire subcontinent. Hopefully, at least the agreement at that summit to inaugurate a South Asian Free Trade Agreement by January 1, 2006, will come to fruition. That should lead, at least over time, to much greater movement across the entire subcontinent — and make disputes regarding sovereignty over territory far less acute. Whether or not that comes about, access to and from the valley within the country must in any case be increased urgently. The railway line that is now being constructed is long overdue. Although it requires a remarkable engineering feat — not to speak of cost — to construct bridges, tunnels and rails across such steep mountain ranges, the need for it cannot be overemphasised. Certainly, many Kashmiris eagerly look forward to the day when they can board a direct, overnight train to Delhi, even in the dread midwinter. I look upon an increase in the power of the State with the greatest fear because, although while apparently doing good by minimising exploitation, it does the greatest harm to mankind by destroying individuality which lies at the heart of all progress.